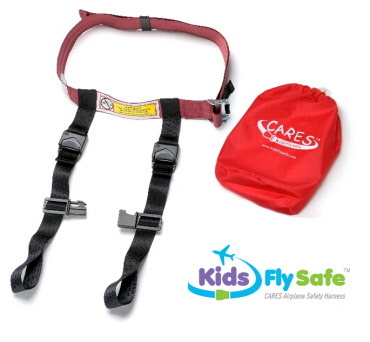 CARES harness helps keep your child safe, secure and comfortable during your flight. 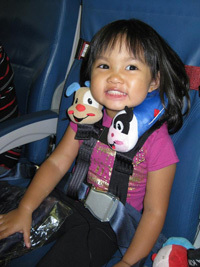 It is an innovative belt-and-buckle restraint, which easily attaches to the aeroplane seat. 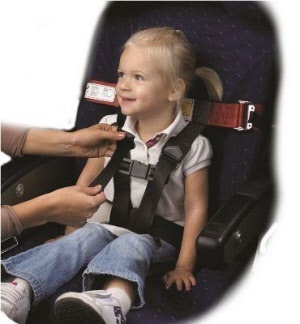 Fully approved, it protects your child with the equivalent level of safety to a carseat. 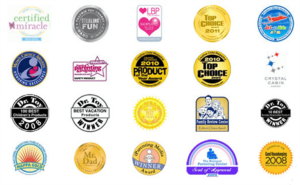 "Just wanted to say thank you for stocking a great product. 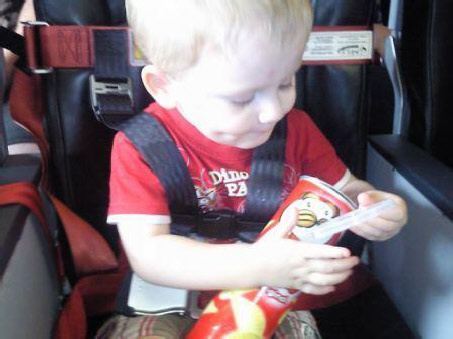 As light aircraft enthusiasts we were looking for a safe product for our 18 month old so he could fly with us. CARES is the only system recommended by CASA and we were pleased to give it a go over the long weekend. It was easy to fit and worked really well. 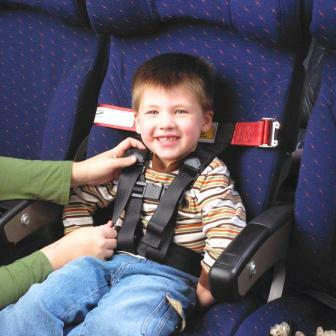 Its also great that the same product can be used for commercial airlines. CARES weighs only 500gms. 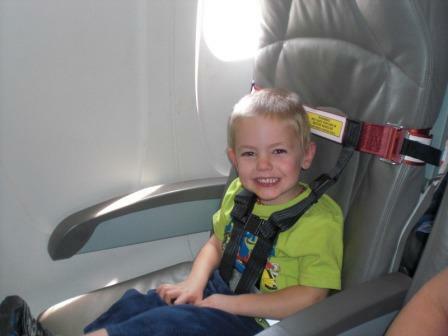 No more lugging around car seats when flying. It includes an instructional safety card and drawstring carry bag. Suitable for kids weighing between 10-20 kilos and up to 102cm tall. CARES is manufactured by AMSAFE, the world’s leading manufacturer of aeroplane seat belts. 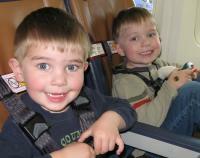 Their testing shows it to be as safe as a car seat for your child. 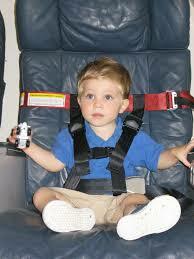 We recommend that travellers experiment with the belts and buckles before they fly to practice how to adjust them. 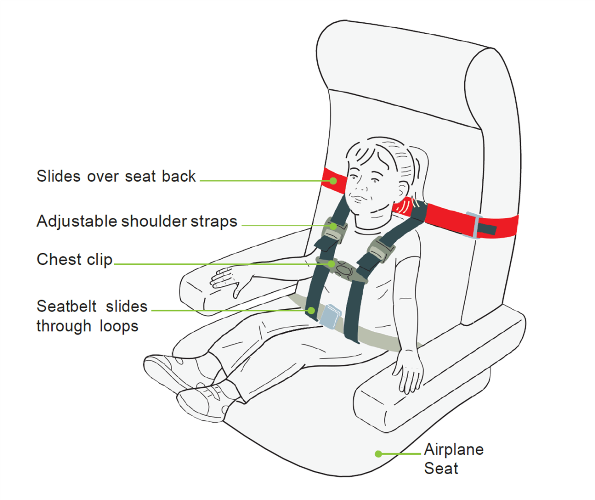 Where possible, ask the airline or your travel agent to note on your flight booking that you intend to use the CARES harness. 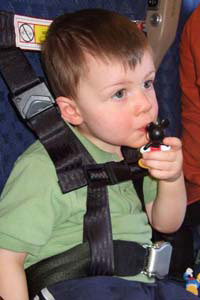 It is worth reviewing your airline's Child Travel or Child Restraint Device policies (see our Airline Policies listing for assistance). 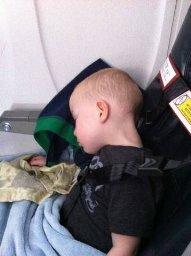 You may find that you will quickly be more familiar with this detail than some of the Airline staff you encounter! 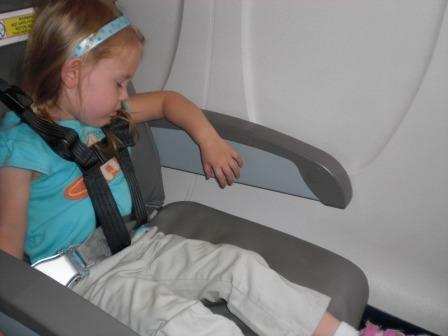 Niche products and policies are not always top of mind for busy airline staff. 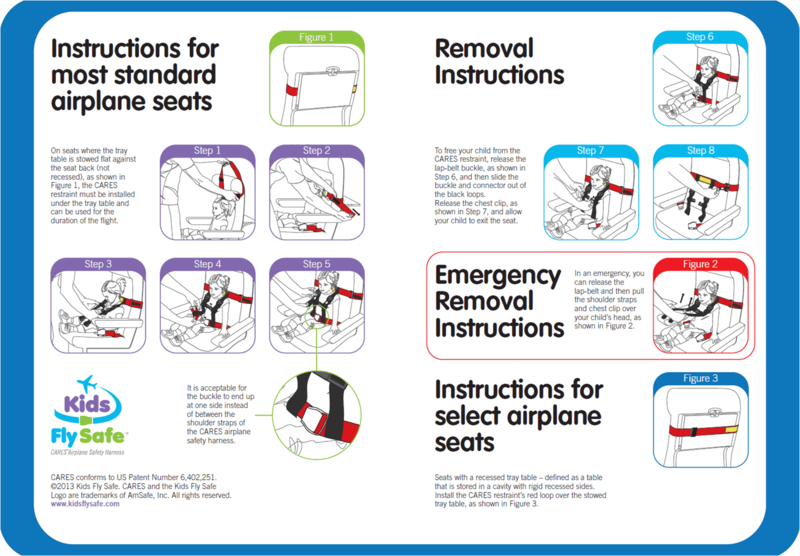 The CARES child aviation harness is the only Aviation Authority approved alternative to a car seat when flying with young children. CARES is certified for all phases of flight - taxiing, take off, in-air turbulence and landing. 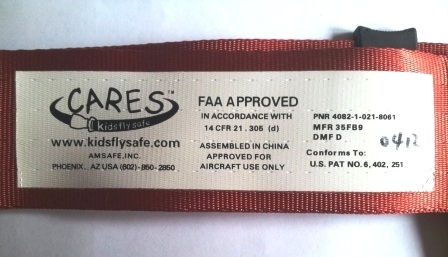 CARES is certified by many global authorities including the Australian Civil Aviation Safety Authority (CASA), New Zealand Civil Aviation Authority (CAA), and the aviation authorities of the USA (FAA), UK (CAA), Canada, Switzerland, Singapore and Israel. 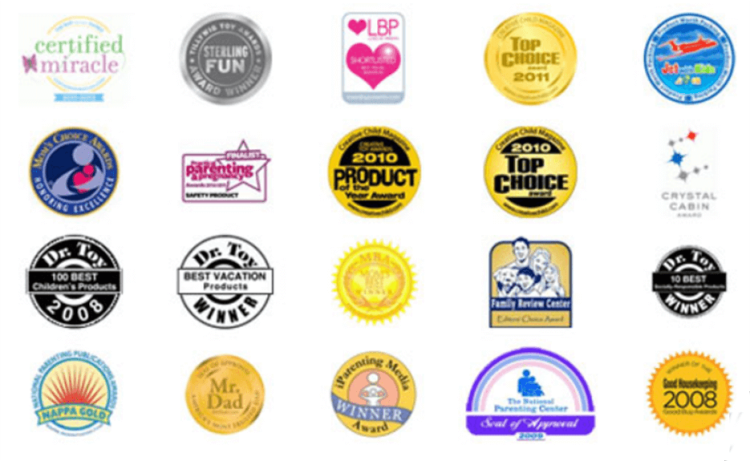 It is welcomed by nearly all the major airlines of Europe, Asia, the Middle East and Africa. For more, please see CARES extra information section. Please see our Airline Policies section for local airline references to CARES and their general 'travel with children' policies. Also please see our CARES extra information section for CARES FAQs and Special Needs Flyer info. 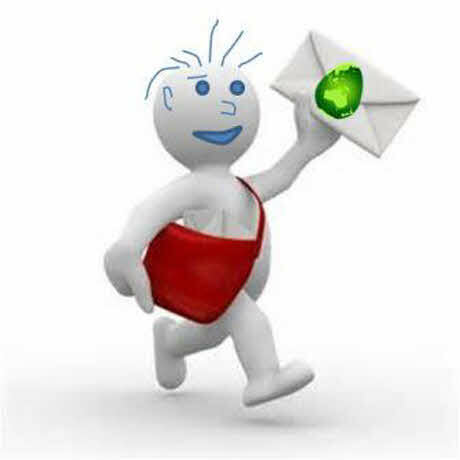 Click here for more CARES product info, installation instructions, stories from fellow travellers and handy approval documents.